NewDays, a convenience store in Japan, is teaming up with everyone’s favourite virtual idol Hatsune Miku to release a range of Miku merchandise with original Miku illustrations. The merchandise will be available at 20 select NewDays stores, as well as a pop-up shop that will open at Akihabara Station. 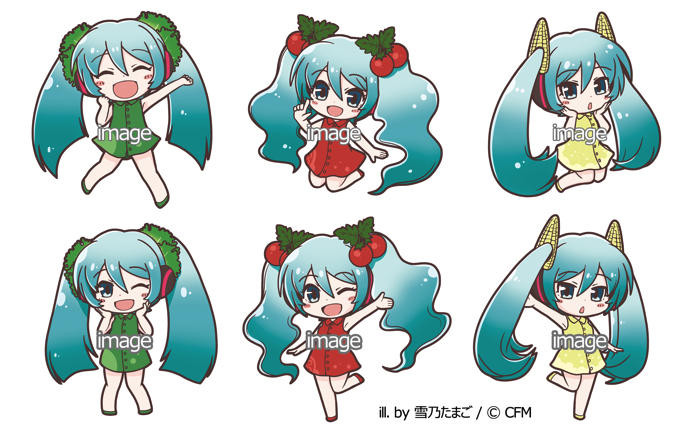 The new range of merchandise will feature 9 original illustrations of Miku, who is celebrating her 10th anniversary and who is being used as the promotional character for the “Vegetable Day Campaign” that will run at NewDays and NewDays KIOSK from August 22nd. 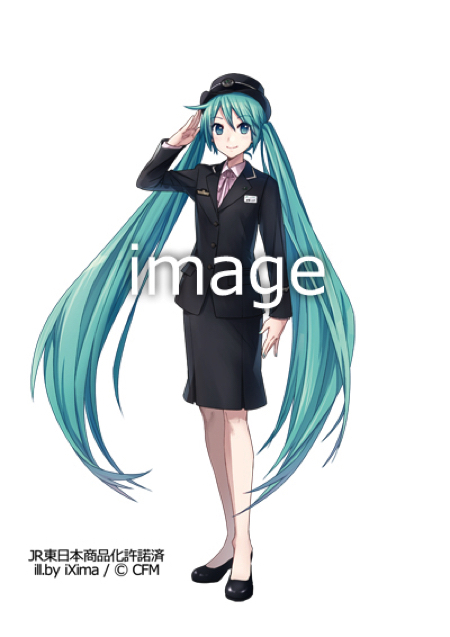 The standout design from the illustrations features Hatsune Miku dressed in the JR East uniform. 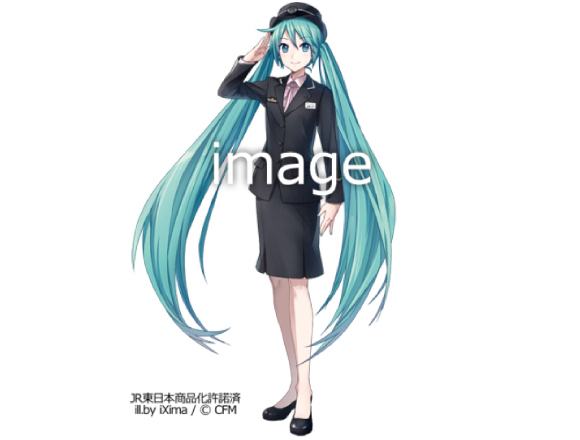 It was created by “iXima,” who was responsible for the main visual for “Magical Mirai 2017,” an annual Vocaloid concert, and “Yukino Tamago,” who created the original design for “Hachune Miku,” a popular fan-made version of Hatsune Miku. Hatsune Miku followers are not to miss out on this original merch – check out what’s up for grabs and where below! A second wave of merchandise will be available at two of the stores below from August 31st. There will also be special bonuses available for purchase at those two stores only. *Depending on conditions of the station, the shop’s opening times are subject to change or cancellation. 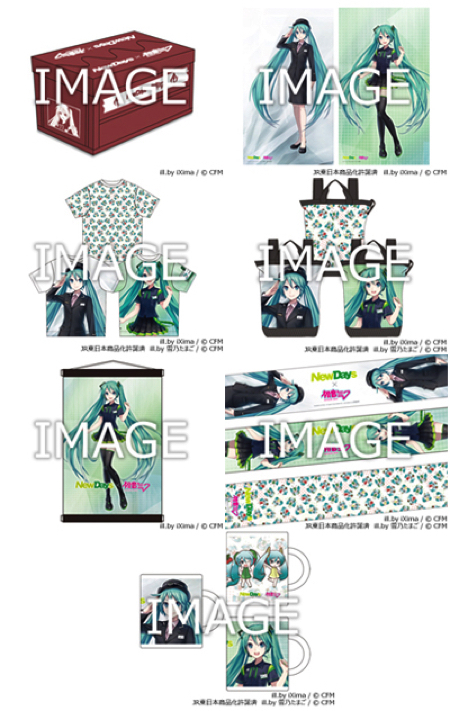 *There will also be lots of other Hatsune Miku merchandise available besides the goods for the campaign (such as figures). From August 31st to September 4th, customers who spend more than ￥5,000 (tax incl.) on Hatsune Miku merchandise at the “NewDays×Hatsune Miku 831 Collab Shop” or “NewDays Kaihin Makuhari” store will receive an original tote bag which are available on a first-come, first-served basis. Please note that once the tote bags are sold out at each store they will not be made available again. Related Article: Countdown Timer Appears on “Hatsune Miku Symphony” Website—Possible Miku 10th Anniversary Announcement?